If your iPAQ hx4700 series PDAs sound has stopped working, but the sound can still be heard when you plug your headphones into the iPAQ. 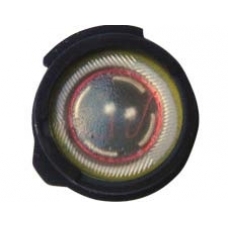 Your internal speaker has blown or failed, this is the replacement part that is required for repair. The internal speaker is mounted inside the front case. If the iPAQ hx4700 / hx4705 sound has stopped functioning correctly, but sound can still be heard when headphones are pl..